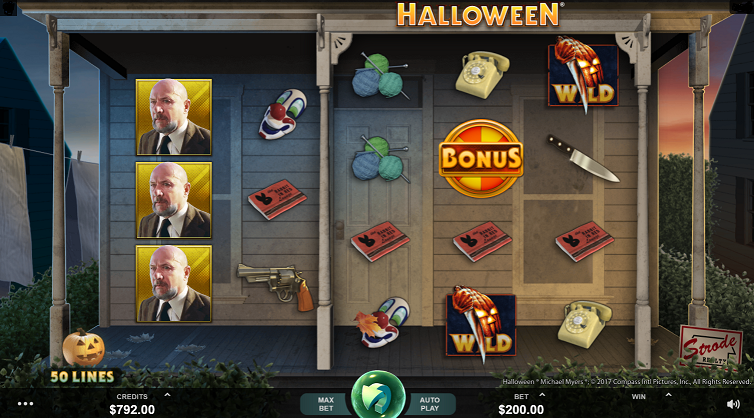 A perfectly timed release of the new slot machine Halloween, just in time for trick-or-treating! The slot is based on the 1978 classic horror movie Halloween directed by John Carpenter. If you’ve seen it you know what to do – watch out for Michael Myers! A nostalgia trip back to 70th/80th. If you’re into old horror movies, this Halloween slot is made for you! It has that old classic touch to it. Both in visuals and the classic sounds from the Halloween movie. And if you’re familiar with the movie you’ll recognize a lot of characters that appear as symbols in the slot machine. It’s a 5-reel slot with a 50 payline and a few really nice features and two different bonus games. Let’s have a look at them! Trick-or-treat bonus: A bonus Wheel with the possibility to win cash prizes up to 10X your placed bet and a chance to claim free spins. Collect cash prize until you win free spins or activate the second bonus game – the Boogeyman Bonus. Boogeyman Bonus: A click-based bonus game. Choose between 16 symbols and reveal the hidden cash prize. The multiplier will increase by 1 after each hidden cash prize is revealed and the cash prize you find is combined with your multiplier for that specific turn. Wandering Mega Symbol Feature: A feature that makes each spin exiting. Three connected reels that holds mega symbols (can cover all three reels completely) will move around as you spin. This wandering 3-reels contains high paying symbols so with a little bit of luck you can claim huge winnings for a simple spin. 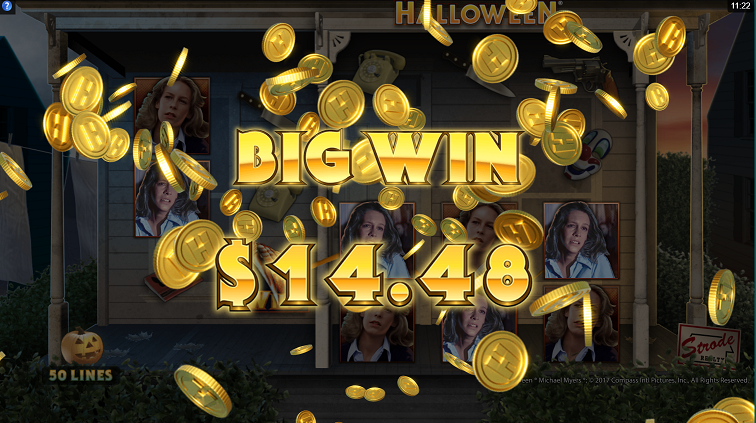 In my opinion, as a horror movie enthusiast, this halloween slot is must play. Apart from the visuals and music the bonus games and features are actually really fun to play and often gives a great payout. If you want to get off to a good start and maximize your game play – check out our casino bonuses here at dreamzcasino.com, or swing by our guides if you’d like to know the basics in the world of online casino!